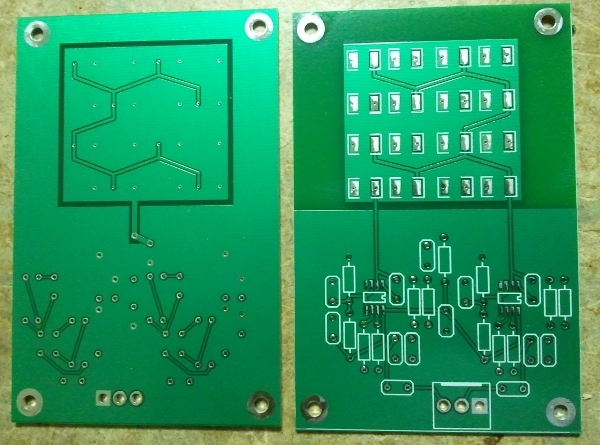 Just a note to say this project is currently having a rethink, due to some problems with noise induced by the PCB, even with shielding. So looks like I'm going to do a complete redesign. I still think it will work but each diode may will need to be FET buffered before amplification. 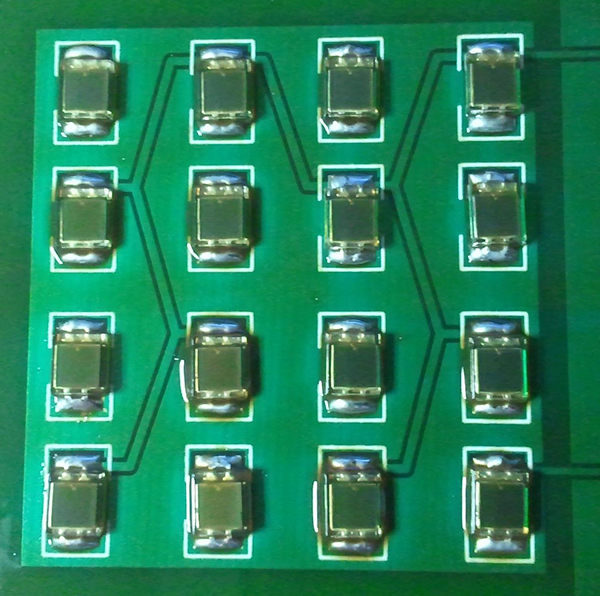 A Silicon Pin Photo-diode like the VBPW34FAS has been successfully used for the detection of Gamma Radiation and so in theory should also detect Cosmic Rays (Muons). However, one very big drawback is their very small surface area. This is further complicated as they cannot easily be wired in parallel without decreasing sensitivity due to their inherent capacitance. Experimentation has shown that 8 x photo-diodes can be paralleled before the problem becomes too over whelming. 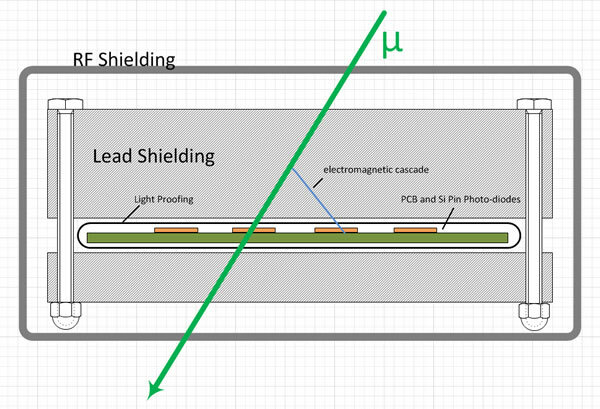 This experiment will also use lead shielding to take advantage of electromagnetic cascade which can increase the aperture of a detector by allowing coincidence to be measured between individual detectors laying side by side and so providing a surface area of 16 x VBPW34FAS spaced apart evenly. 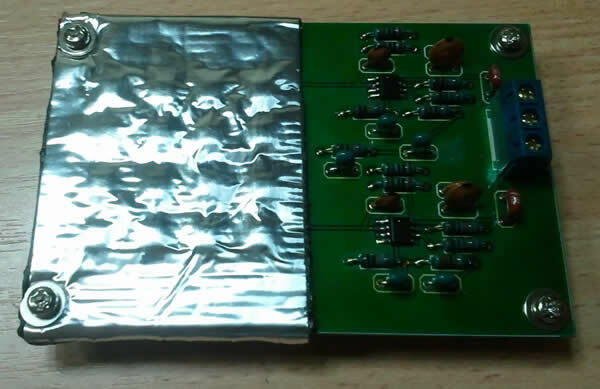 The below schematic is the first photo-diode amplifier stage which is based around the MAX4477 low-noise dual opamp and will be latter amplified using a high speed comparator and then coincidence circuit. I will be develop this latter once the photo-diode amplifier stages are enclosed in shielding and optimum component values are determined.